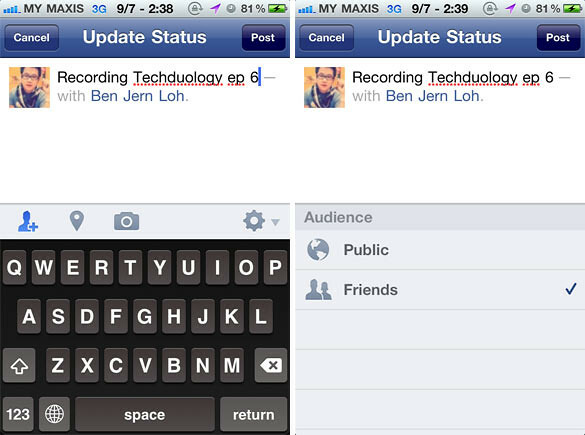 The latest version of the Facebook app is now v3.5 and it seems like a big update. 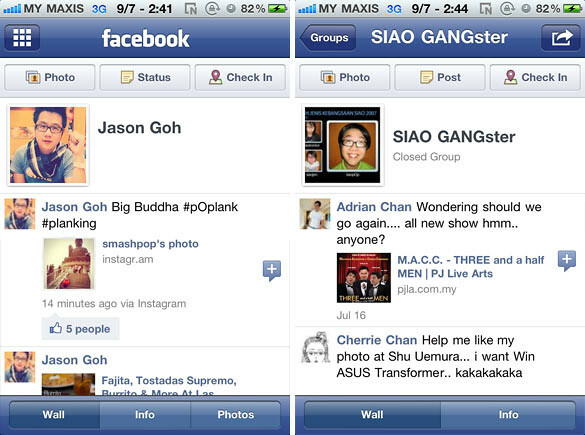 The new features revolves around the sharing options and redesigned of profile pages and groups. New sharing layout. Friends, location and settings button now available below the compose box. Profile and groups page redesigned. 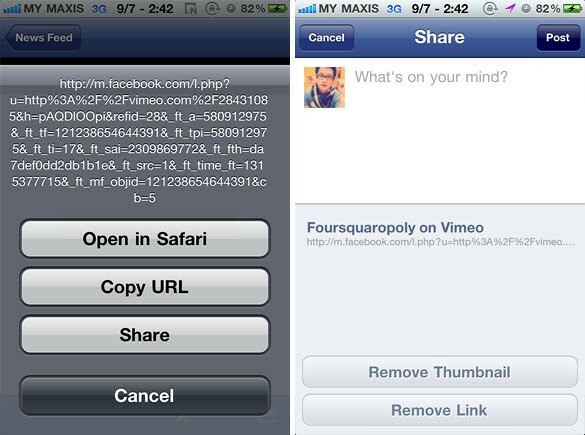 Sharing of links posted by your friends. 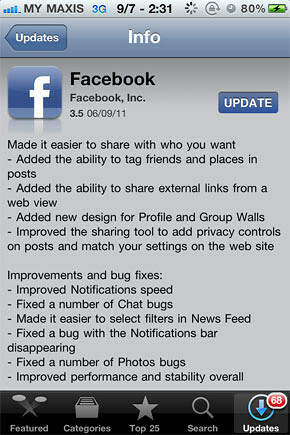 Get Facebook v3.5 from the AppStore for FREE now! 2 Responses to "Facebook for iPhone Updated With New Sharing Options & Wall Design"